Thanks to its 95% AFUE rating*, you may not cringe when you see your monthly utility bills. The numbers keep adding up: this gas furnace’s Power Saver™ constant torque motor is up to 33% more efficient than typical motors and up to 200% more efficient when constant fan mode is on. 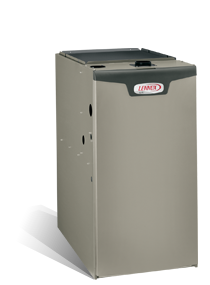 Ready to find out how the EL195E gas furnace can make your home more comfortable year round? Need help with a gas furnace repair or want to schedule a gas furnace maintenance visit? We can handle it all. Our staff is trained, experienced and ready to help. Make an appointment or call 740-594-8381 for Athens or 740-654-4328 for Lancaster now.